Ziptrek Ecotours is NZ’s #1 original zipline tour and is a spectacular and exhilarating eco-adventure through the forest canopy high above Queenstown. Tours commence at the Ziptrek Treehouse, at the top of the Skyline gondola. Ziptrek runs all year round and is stunning whatever the weather. 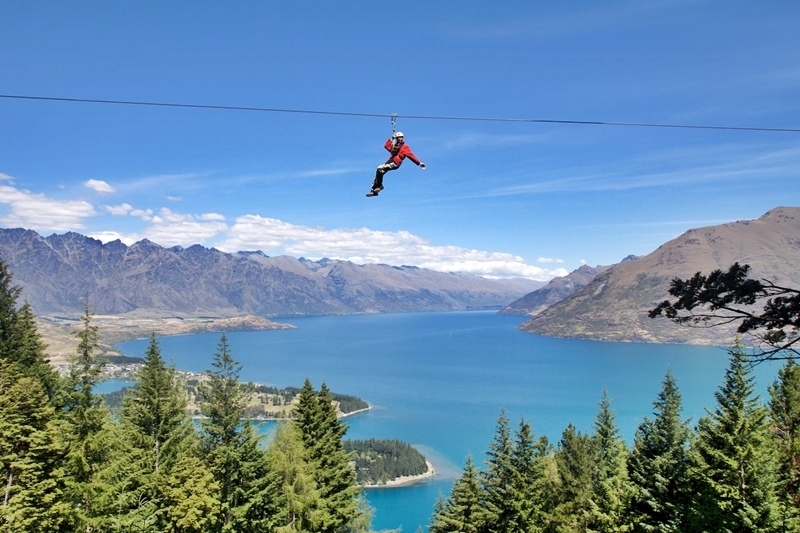 With two tours to choose from it is suitable for everyone, whether looking for an introduction into Queenstown adventure (Moa 4-Line Tour) or wanting the latest gripping eco-exhilaration (Kea 6-Line Tour) which includes the steepest tree to tree zipline in the world. • Minimum weight limit of 30kg (65lbs) for the Kea tour. • Children over 6 years of age but under the minimum weight limit can go can go tandem on the Moa 4-Line tour with a guide. • Maximum weight limit of 125kg (275lbs). • Gondola ticket is additional.